Kelly Farmer and Mythical were the winners of the 2013 Chicago Hunter Derby $50,000 USHJA International Hunter Derby feature event sponsored by Canadian Pacific. Photo: Chicago Equestrian. Antioch, IL – May 8, 2014 - The Chicago Hunter Derby returns to Annali-Brookwood Farm in Antioch, IL September 6-7th, 2014 and promises to top last year’s event. This signature, annual event hosted byChicago Equestrians for a Cause, has raised over $400,000 in contributions in it's five year history. This year’s charities are; Ann & Robert H Lurie Children’s Hospital of Chicago, the University of Chicago Cancer Research Foundation and the United States Hunter Jumper Association Foundation. The event features the $50,000 International Hunter Derby sponsored by Canadian Pacific and the $5,000 National Hunter Derby. Sterling Berry, Michelle Durpetti, Marion Maybank, Lynn Jayne, Caroline Weeden, Margaret Benjamin and Rush Weeden during the 2013 opening ceremonies. Photo: ChicagoEquestrian. 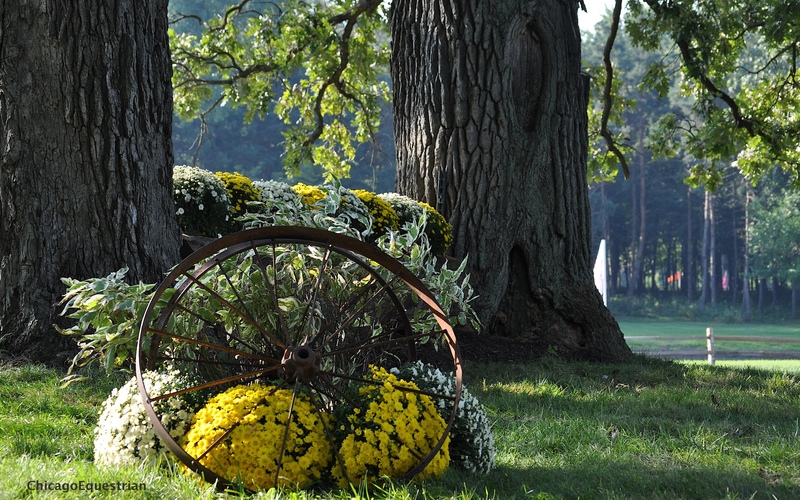 Co-founders of CEC, Lynn Jayne of Our day Farm and Caroline Weeden of Brookwood Farm, along with the committee and the board, will once again create a beautiful and challenging derby for riders and an elegant atmosphere under the tent throughout the weekend. Events such as these do not happen without generous donations of time and talent from many people. Michelle Durpetti Events (MDE) produced the social events last year creating the most successful derby to date. MDE is thrilled to be on board once again for 2014. Molise PR, Chicago Equestrian and Phelps Media Group will be handling the press for the event again as well. Last year’s exposure included TV segments on WGN and CBS as well as multiple publications including Chronicle of the Horse, Chicago Social Magazine, Horse and Style, Michigan Ave magazine and more. The Chicago Hunter Derby is proud to be presenting the Maybank's Volunteer Perpetual Trophy for the fourth year. This award acknowledges an individual who contributes outstanding time, service and dedication to the event. Past recipients have included Host Committee Chair, Margaret Benjamin, inaugural recipient (and namesake) Marion Maybank, and Rush Weeden. Rush was honored last year for his dedication to the event and the donation of his time, facility and team, all of which are integral components to the event's success. 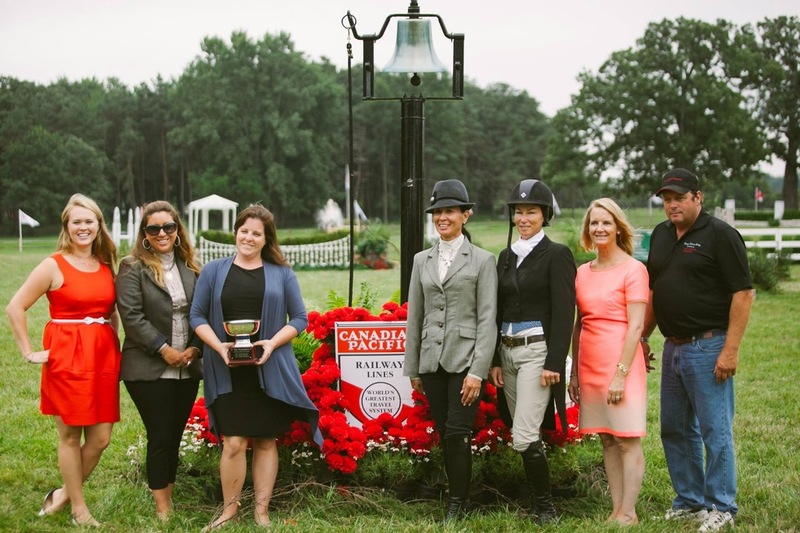 Margaret Benjamin, a dedicated equestrian whose philanthropic efforts are matched by her enthusiasm and dedication to the Chicago Hunter Derby, will once again lead this year’s Host Committee. Special thanks to the University of Chicago Cancer Research Foundation Women’s Board and the Founder’s Board of Ann & Robert H. Lurie Children’s Hospital of Chicago for their assistance in making 2013 a sold out event. Last year the event was honored to have the legendary George H. Morris serve as judge and course designer in collaboration with Bobby Murphy of Lexington, KY who again, set a breathtaking and inviting course for exhibitors. This year Bobby Murphy will again be trying to outdo himself incorporating the Year of the Horse in his theme. Now in its sixth year, the event welcomes the outstanding judges panel of Julie Winkel, Jeff Wirthman, Ken Smith and Holly Orlando, all top professionals in the industry. 2014 promises to continue the tradition of the Chicago Hunter Derby with a stylish Sunday brunch including children’s activities sponsored by Rice Dairy, shopping, a silent auction and a Calcutta. Saturday will feature the National Hunter Derby and the first round of the International Hunter Derby followed by the “Derby After Dark” party. This party will feature live music, great food, libations and a chance for exhibitors, sponsors, and fans to celebrate in a more casual setting than Sunday's Champagne Brunch. Tickets to attend and prize list will be available soon. For sponsor information please contactSterling@michelledurpettievents.com or visit the website at www.Chicagoequestriansforacause.com.